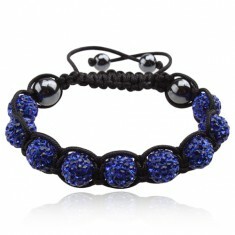 Your favorite product: Shamballa bracelet, sapphire, zirconium beads and hematite beads Q17.05 - is added to the wish list. The bracelet on the hand, shiny blue beads inlaid with rhinestones, hematite beads, black cord. 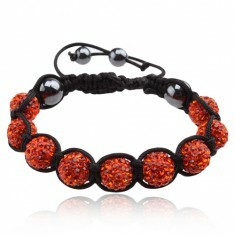 Your favorite product: Shamballa bracelet orange zircon beads, hematite beads Q17.03 - is added to the wish list. Bracelet, Shamballa beads inlaid with oranžovočervenými rhinestones, hematite beads, black cord. 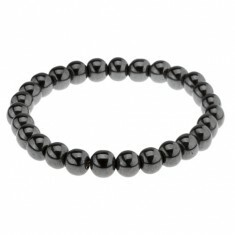 Your favorite product: Elastic bracelet, shiny beads made of hematite, a steel grey shade Z34.11 - is added to the wish list. 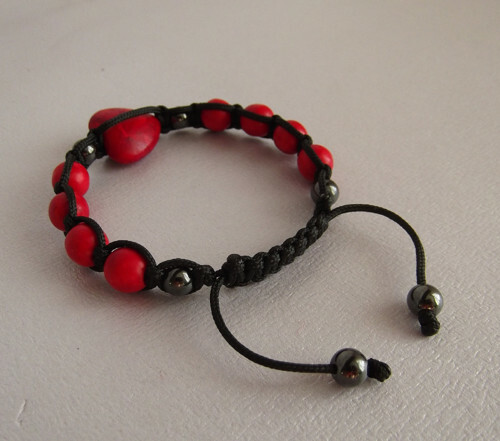 Šedočerný bracelet on the arm of hematite, beads with a glossy smooth surface on the transparent elastic. 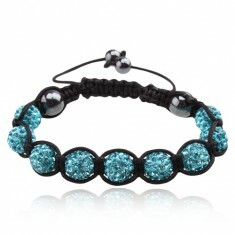 Your favorite product: Shamballa Bracelet - is added to the wish list. Shimmering gold beads, hematite beads P9.20, black and grey beads, black zirconium ball Q19.03, golden ball with čirými cubic zirconia, brown beads Q19.2, pink zircon balls, black string Q17. 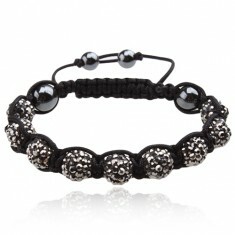 Bracelet in the style of Shamballa, zircon balls of steel-gray color, hematite beads, string. 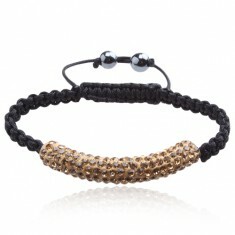 Your favorite product: Shamballa bracelet, akvamarínové zirconium beads Q17.07 - is added to the wish list. Bracelet on his hand, shimmering beads with akvamarínově blue rhinestones, hematite beads. 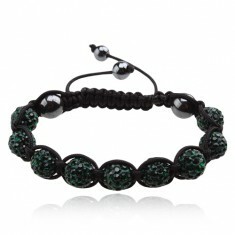 Your favorite product: Shamballa bracelet, zircon beads of emerald color Q17.09 - is added to the wish list. 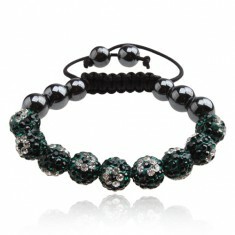 Shamballa bracelet, emerald zircon balls, black string, shiny hematite beads. Your favorite product: Shamballa bracelet brown, yellow rolling pin with rhinestones, black string Q17.19 - is added to the wish list. Bracelet, entangled in black string, zirkonový roller brownish-yellow color, hematite beads. 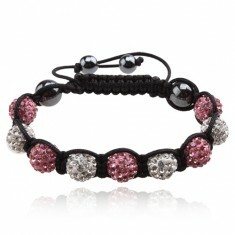 Your favorite product: Shamballa bracelet zircon beads sheer and light pink color Q18.03 - is added to the wish list. 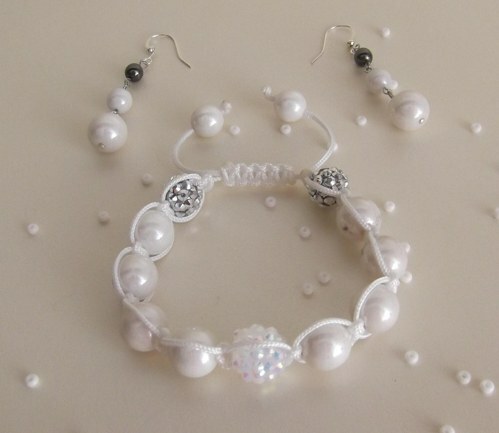 Shamballa bracelet, beads are imbedded čirými and pale pink rhinestones, hematite beads. Your favorite product: Shamballa bracelet, light green zircon beads with flowers Q18.08 - is added to the wish list. The bracelet on the hand, the balls imbedded čirými and light green rhinestones, hematite beads. 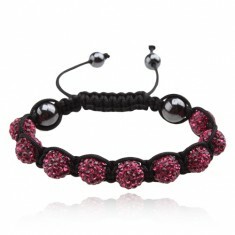 Your favorite product: Shamballa bracelet, fuchsia zircon beads Q17.06 - is added to the wish list. 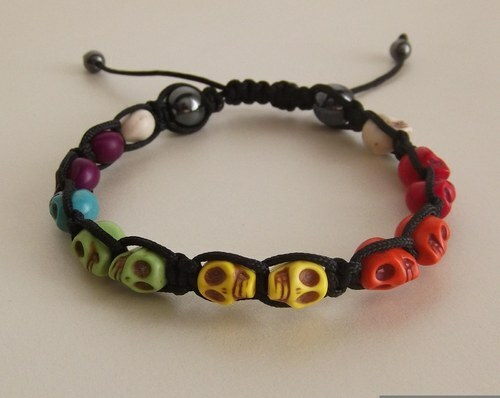 Shamballa bracelet on his hand, hematite beads, beads with rhinestones fialovorůžové colors. Your favorite product: Shamballa bracelet, green zircon beads with a pattern of flowers Q18.06 - is added to the wish list. Bracelet Shambala, beads with rhinestones, emerald green and clear colors, hematite balls. Your favorite product: Fake piercing to a nose of steel 316L, shiny five-pointed star AC20.12 - is added to the wish list. 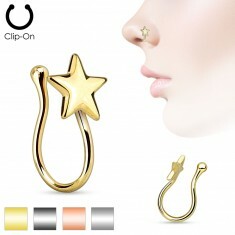 Fake piercing nose surgical steel, five-pointed star with a shiny and smooth surface.